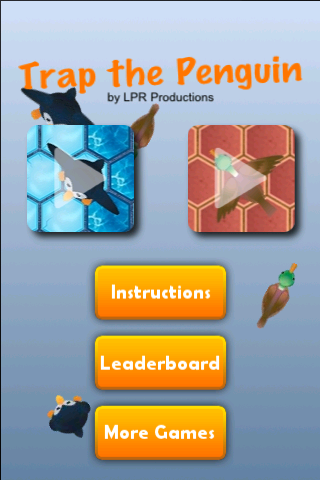 Penguin Trapper is a turn-based puzzle game played on a hex grid. 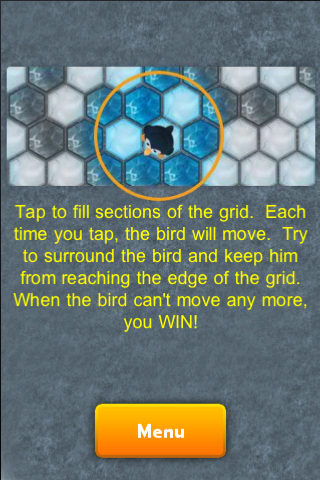 The object is to encircle the computer-controlled bird before it can reach the edge of the grid. 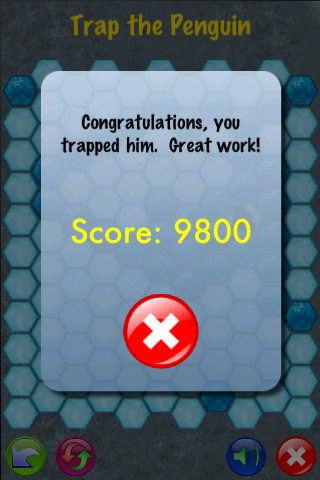 Don’t let them escape; they are clever!